(1948) Turhan Bey, Lynn Bari, Richard Carlson, Cathy O'Donnell. A very underrated film. 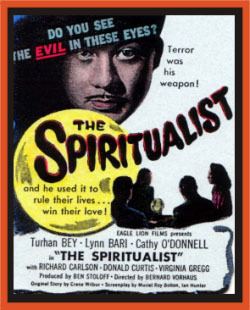 A woman is haunted by the spectre of her dead husband and soon becomes involved with a spiritualist. Is he legit? Very Val Lewtonish. Watch for one especially effective "ghost" scene. From 16mm.